The Nurture Earrings – Available in two sizes, large and small. 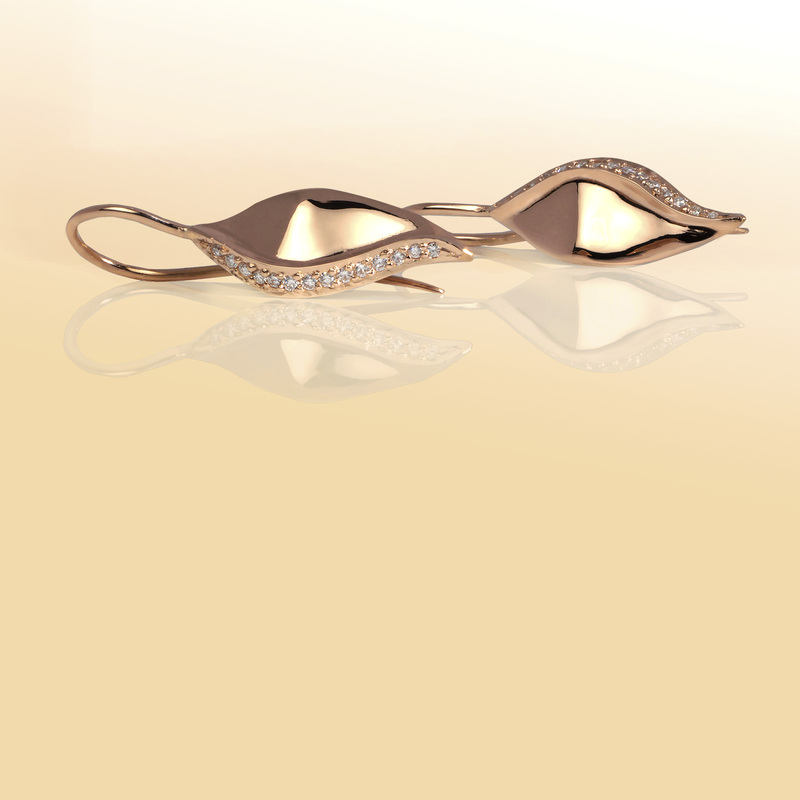 The delicately sculptured lines of Matthew's signiture leaf shape drop are the perfect earring to be worn everyday. Matthew’s nurture collection is crafted in 18ct gold with highlights of round brilliant cut diamonds. 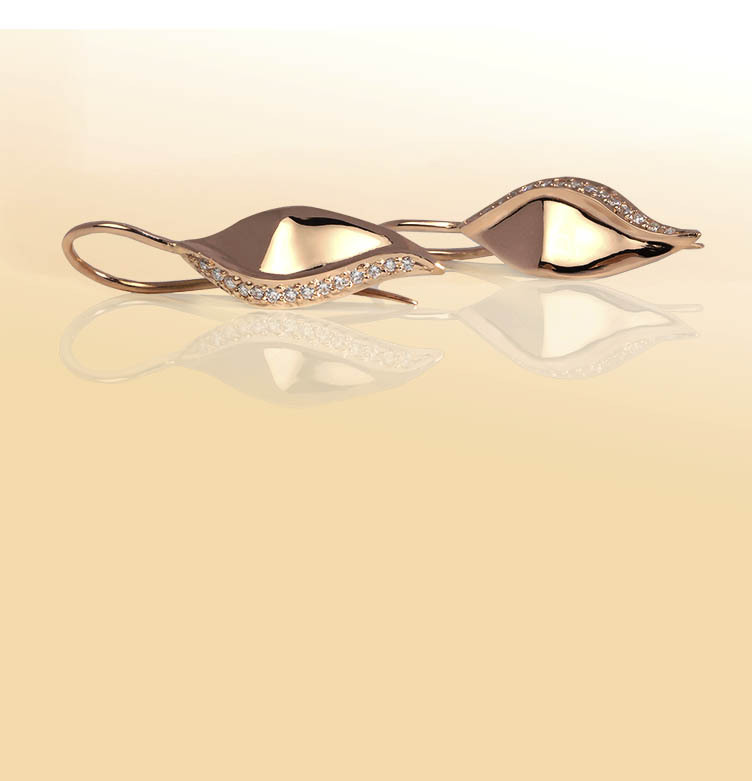 "The Nurture" Earrings diamond set, available in 18ct white gold, rose gold (Pic) and yellow gold. 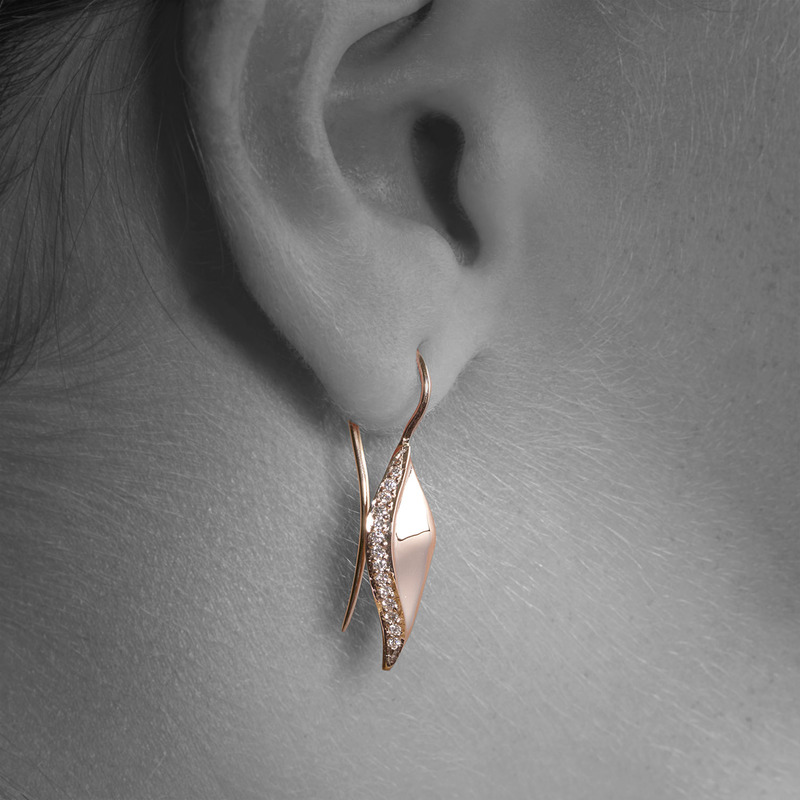 "The Nurture" Collection diamond set earrings, available in 18ct white gold, rose gold (Pic) and yellow gold. Large (Pic) - $1950.00, Small - $1550.00.